Goldert is a cooler vineyard. The calcareous soil and gentle slope facing east accentuate the late ripening. The result is better acidity and more flavour complexity. The fact that the vines are on a hillside, there is also better drainage, and in 2006, it allowed us to wait longer to pick the grapes. 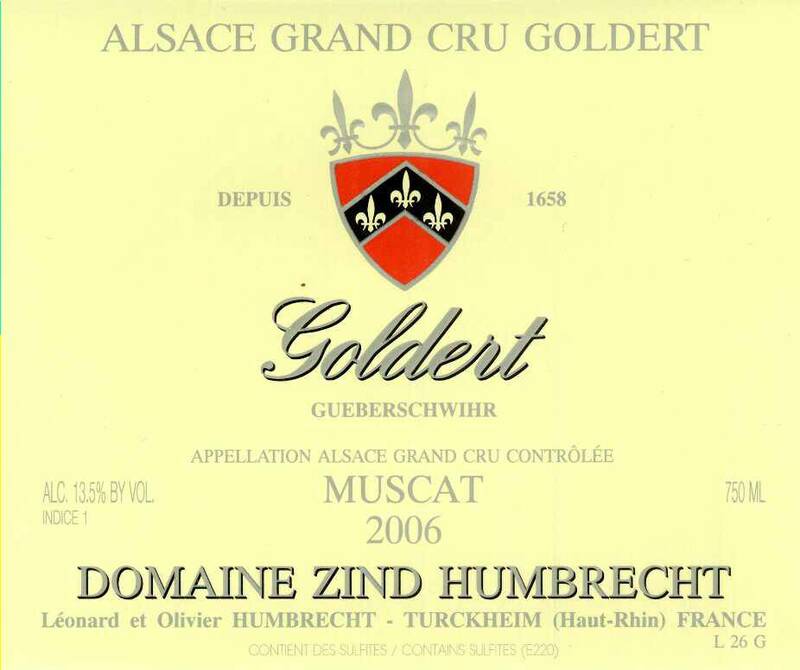 The Goldert is therefore significantly richer than the Muscat (from the Herrenweg) and its fermentation lasted almost an entire year. The sweetness is quite low for its potential alcohol and the fact that the acidity is very high, the residual is completely hidden in the massive structure of the wine.